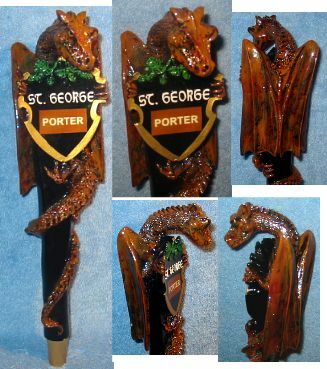 St George Porter figural dragon; 12 1/4 inch, 1-sided, composition or plastic. Unused. This has a sparkly finish and you see lots of light reflection specks in the photo. Cool, scarce tap.